The following Community Growth Profiles (Profiles) are available for all 56 cities and towns in the four-county Capital District region. The new Profiles examine twenty years of growth by community and are a valuable tool for planners, educators, grant-writers, and business and government leaders throughout the region. The Profiles offer a comprehensive review of growth trends and opportunities that have occurred in communities throughout Albany, Rensselaer, Saratoga and Schenectady counties. 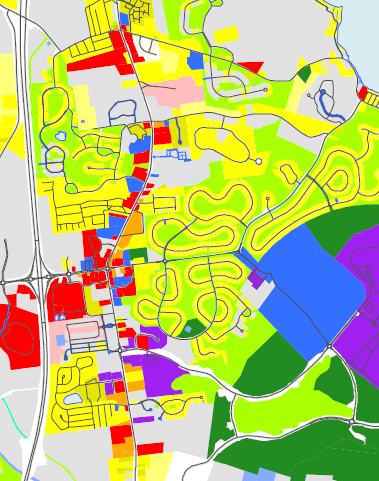 They were developed to assist current and future planning and feature information about current land use, recent housing growth, and road development maps in addition to data on population trends, housing units, and greenhouse gas emissions by sector. Between 1995 and 2015, more than 35,111 single family homes were built in the four county Capital District Region on lots totaling 55,928 acres. 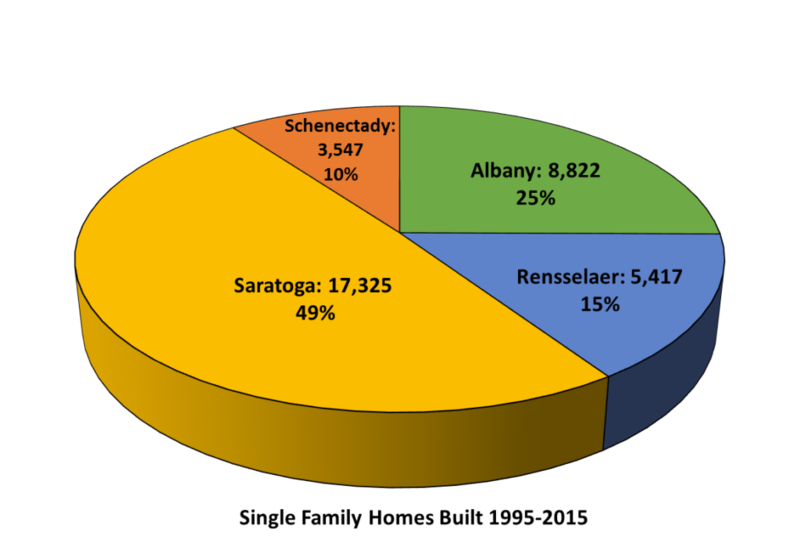 The majority of single family home growth form 1995-2015 occurred in Saratoga County at 49% followed by 25% in Albany, 15% in Rensselaer, and 10% in Schenectady. As of 2015, there are 209,730 single family homes and 378,947 housing units overall in the region. And, approximately 214 miles of new roads were built between 2005 and 2015, of which 21% included sidewalks. This project was completed through a partnership between the Capital District Transportation Committee and CDRPC. Follow the links below to access Community Growth Profiles.